Emotional imbalances are very common these days considering the rigors that have invaded the everyday 9 to 5 stretch. Work, finances, raising a family, relationships and many other issues as such can take a serious toll on the IQ of any otherwise robust individual surviving the odds of this century. More often than not, it has been seen that the individuals in the face of such trying circumstances resort to pills and potions to keep their spirits up. Some even find their share of solutions in narcotic substances and alcohol which falls like an axe on whatever remains of ‘good health’. 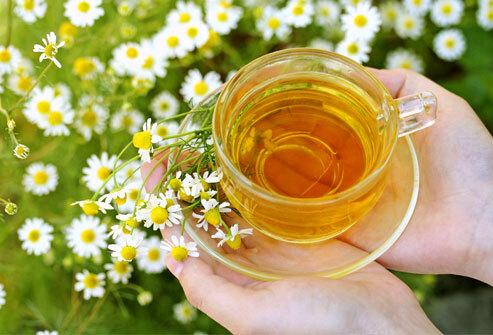 Chamomile and Green Tea for combating suppressed anger – When you fall into bad mood arising from suppressed anger, all you need to do is get yourself a cup of green tea or chamomile tea. In very simple words, the anti oxidants in the tea helps in combating anger and produce an overall calming effect on the nerves. The ingredient ‘theanine’ present in green tea has been named for producing the calming effect. If green tea or chamomile tea is not around, try the ordinary brown tea with lighter brews. Leafy Green foods for combating lethargy – There are times when you just don’t feel like moving an inch yet are burdened with the challenging tasks for the day waiting to be completed. This can result in serious bad mood which can be combated though with folate and iron rich foods, like dark leafy green vegetables that can give an instant iron boost to your blood making you more robust and active. Spinach salad or sandwich with fortified bread can be mentioned as an example. Complex carbohydrates for combating crankiness – If you are feeling easily irritated which is coming in the way of your work or your everyday activities, try eating complex carbohydrates with a dose of proteins to calm your system. Easy irritability may signal your body’s need for instant energy and which can be offered by the latter. Try peanut butter with apples or toast for instant results. Dark chocolate for combating stress – It has been proven through numerous tests and researches that dark chocolate does wonders in combating stress. While the sinful taste is good enough to raise your spirits instantly, the ingredients in this options works wonders to reduce cortisol (stress hormones). An ounce should be good enough to see results. A boost of Vitamin D for combating Depression – Vitamin D deficiency has been linked with depression and sadness (often without cause). So, when you are feeling a little melancholy and are not being able to locate the reason for the same, it may be time to hit the sunshine for 15 to 30 minutes. As far as food sources of Vitamin D are concerned, you can eat a bowl of fortified cereal with low fat milk for instant results.